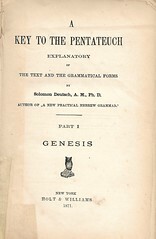 Title:A Key to the Pentateuch: Explanatory of the Text and the Grammatical Forms by Solomon Deutsch, A. M., Ph. 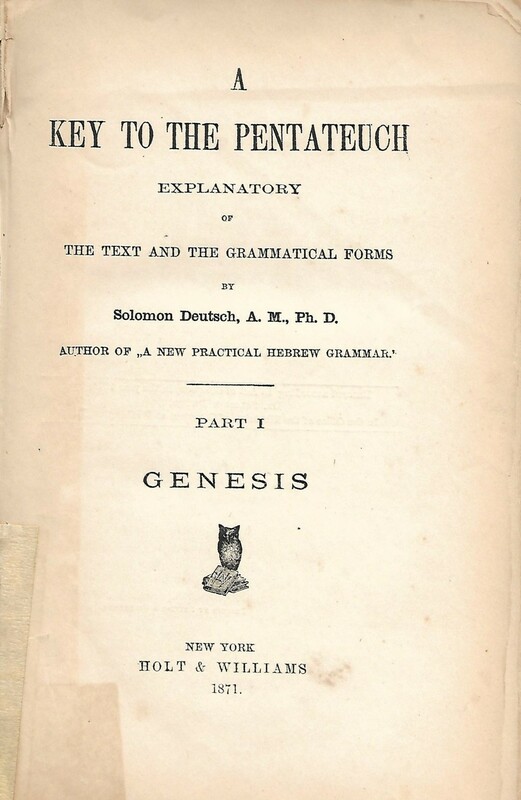 D. Author of "A New Practical Hebrew Grammar." Part I. Genesis. Facsimile: A pdf facsimile is available at HathiTrust’s digital library. Comment: In spite of the title, only Genesis was published.